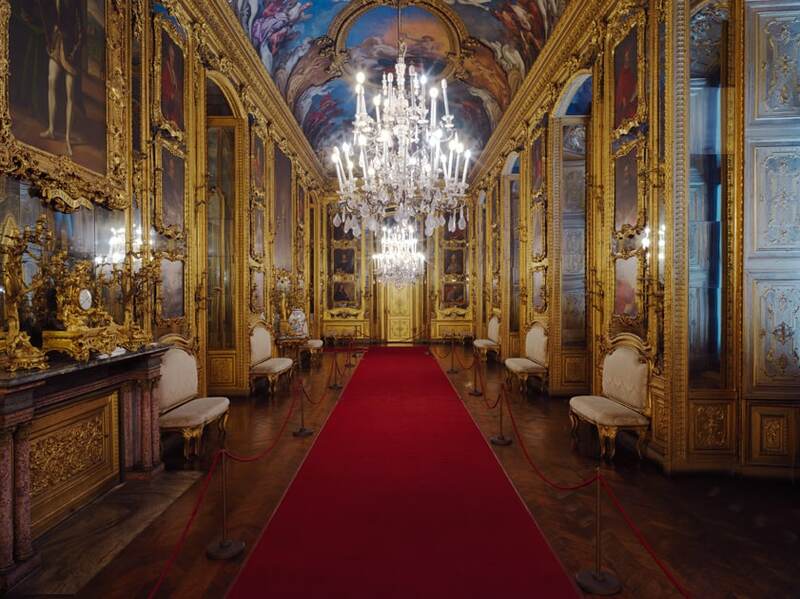 Fox Galleries is proud to present Palace: House of Savoy, Turin by Wayne Fogden, featuring large scale opulent interiors from three historical palazzi in Turin, Italy. 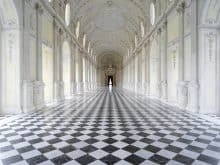 With formal rigour reminiscent of Candida Hofer, Fogden presents these interiors as spaces that manifest the ideals and aspirations of those who created them, capturing the human desire for beauty, power and permanence. 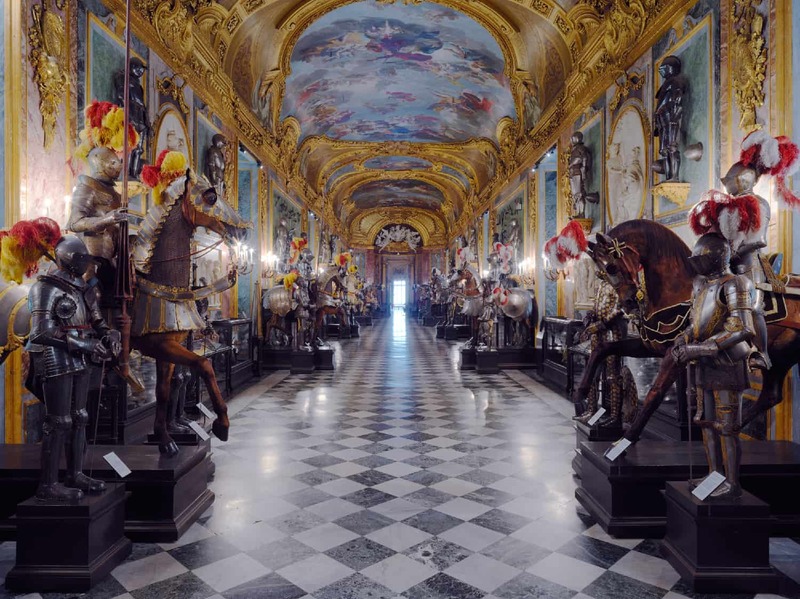 As the artist has expressed, Turin is one of many Italian cities with a rich history, but it is often overlooked since it lacks the exotic appeal of Venice, the ancient history of the capital, Rome, the art of Florence, or the fashion of Milan. Turin is special though, not because it is home to the Shroud of Turin, not because espresso coffee has its origins there, nor because Cristiano Ronaldo has signed on to play for the local football team. 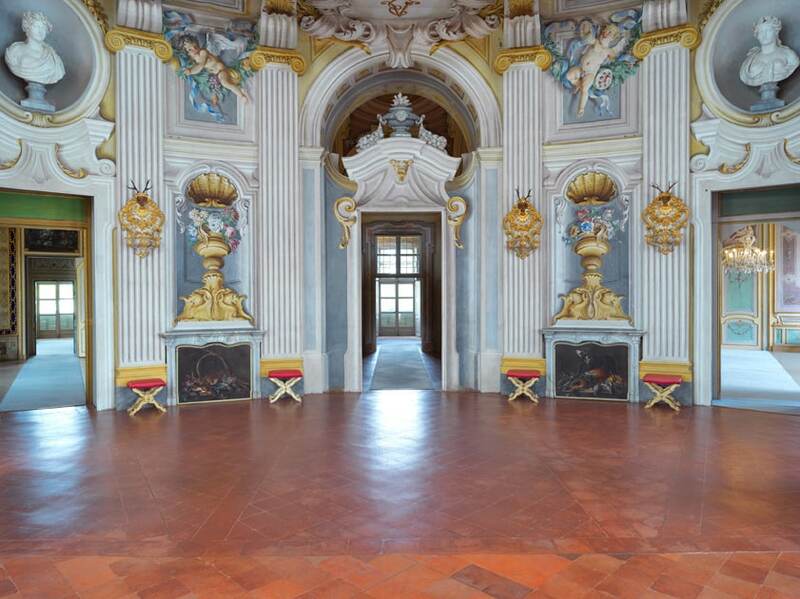 It also happens to be the location of a number of fabulously decadent residences built by the House of Savoy, the former rulers of Italy. 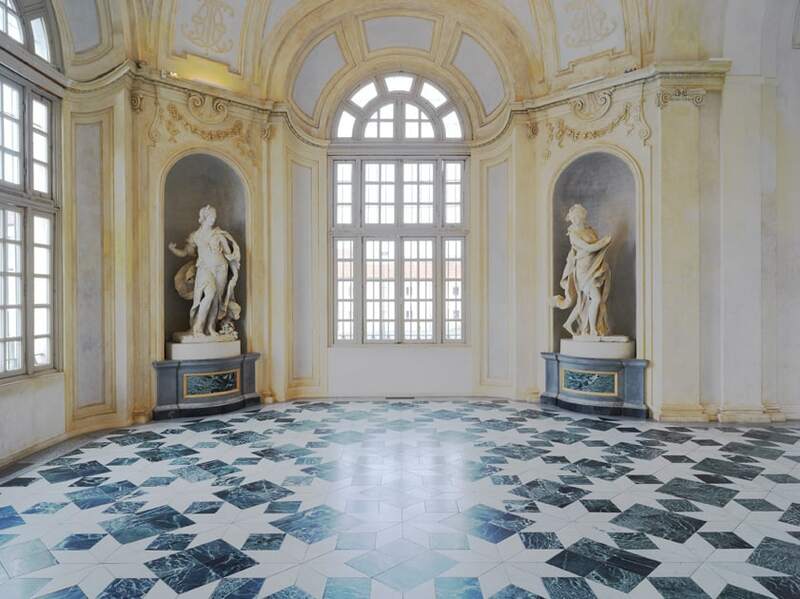 Fogden was granted private access to photograph three of the Savoy’s palaces: Palazzo Reale di Torino, Palazzina di Caccia di Stupinigi and La Venaria Reale. All are very different with their only commonality being scale and opulence. wonderment as to the engineering and craftsmanship that went into creating them. The concept of time was different when they were constructed through the 17th – 19th centuries. 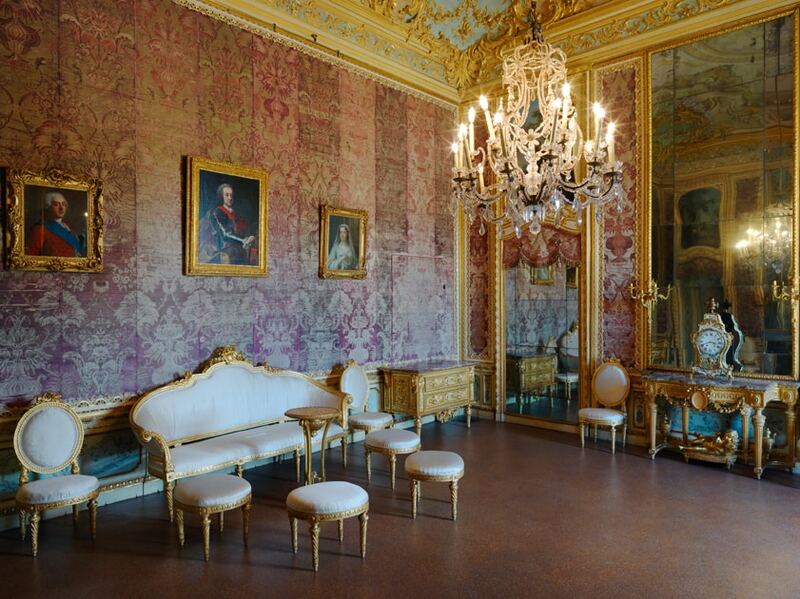 The pace of life was slower and timeframes much longer – Palazzo Reale di Torino took almost 200 hundred years to realize its final design. 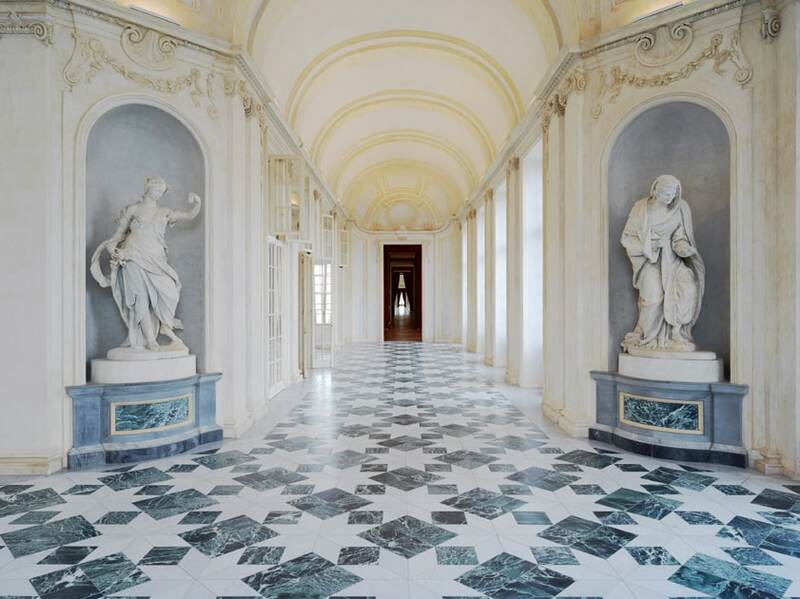 The palace walls have borne witness to countless human interactions over the last centuries. 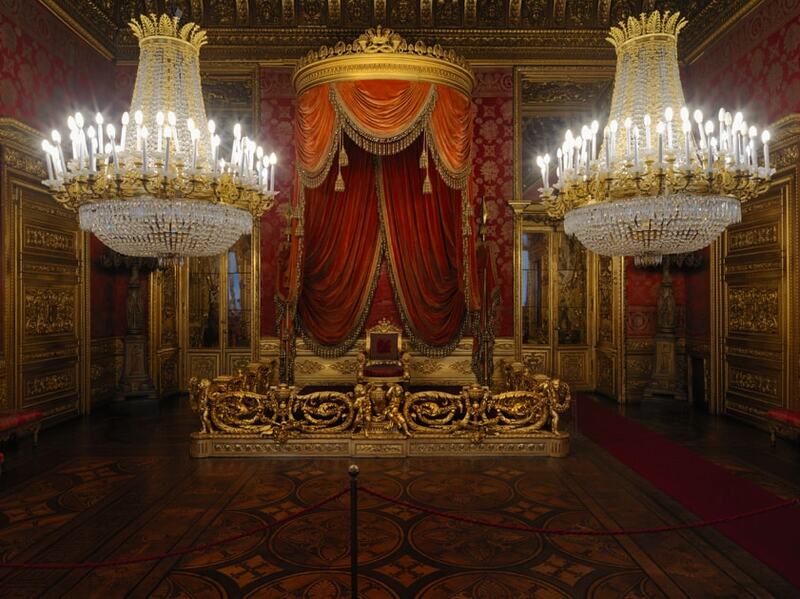 Standing among them Fogden wondered if Napoleon could have stood in the exact same spot as him when he first entered the Great Gallery. 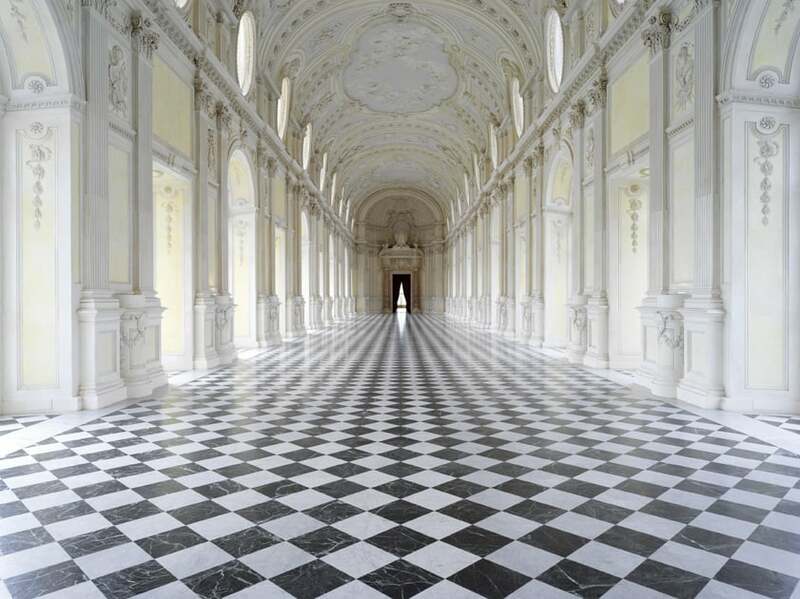 Photographing in solitude he would wonder if the palaces had ever been as quiet and empty of people in their heyday. 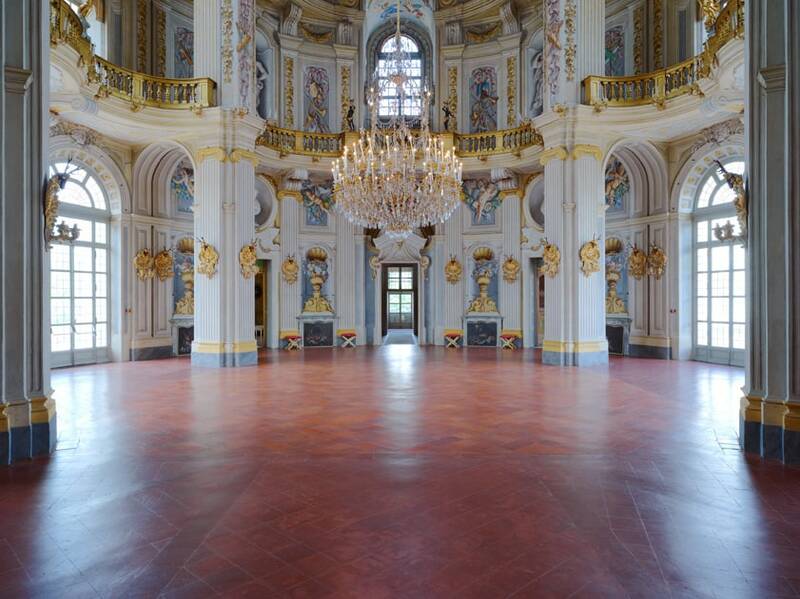 Their large ballrooms are dramatic simply due to their size, but smaller rooms offered the opportunity for more elaborate decorations on a tighter budget. 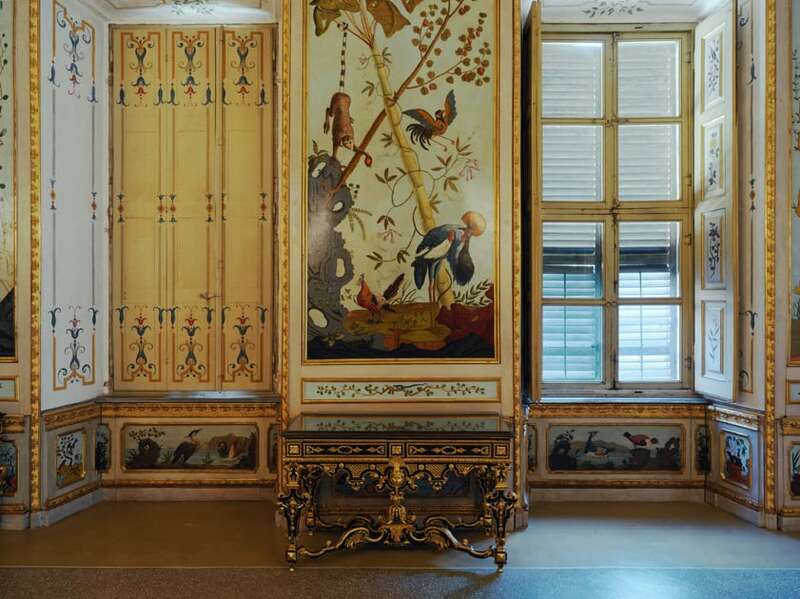 In Palazzina di Caccia di Stupinigi doors and wall panels were illustrated with hunting scenes, birds and animals. 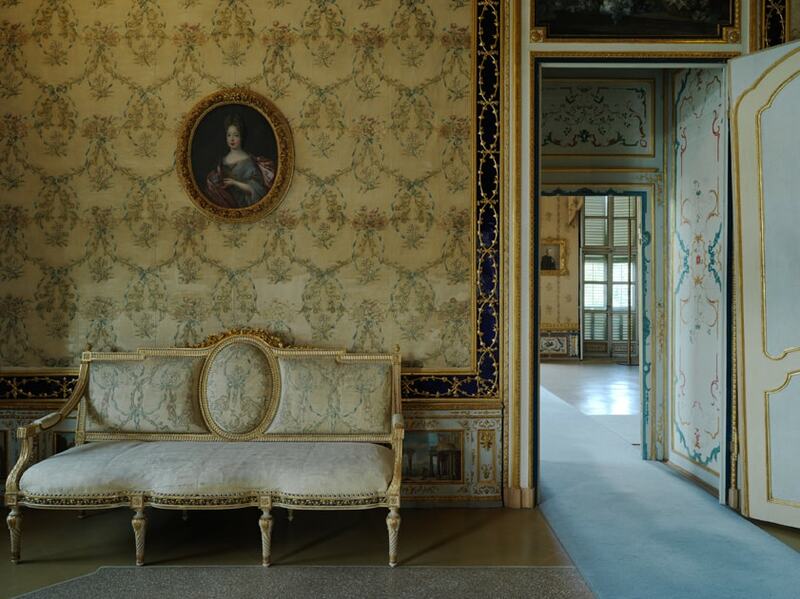 Walls were covered in silk that was often covered in lace. No space has been left empty, beauty is inescapable. Capturing every detail, Fogden’s rooms lavish in their own idiosyncrasies, distinctly evocative of certain moods and experiences. Light-filled, laden with heavy textiles and lacquered in gold leaf they speak to the physically transporting nature of art, architecture and design that elevate our experience of the world around us.